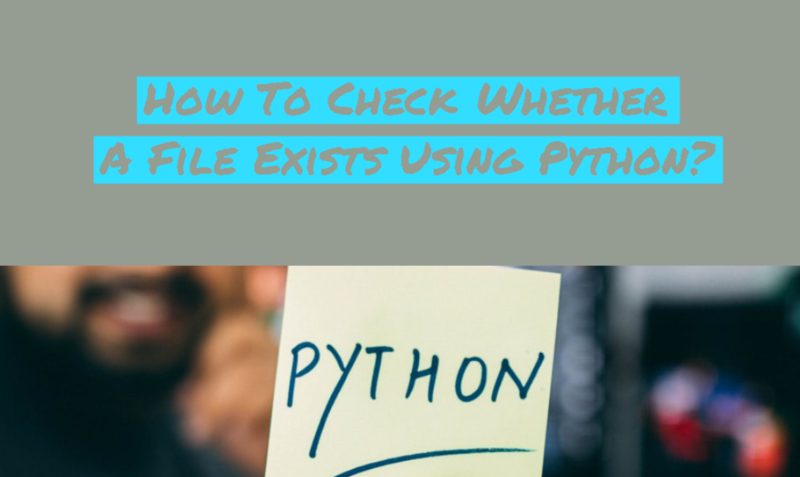 Python programming language provides different ways to check file existence. In this tutorial we will examine functions like isFile() and exists() to check file existence. In order to use isFile() and exists() functions we need to import the os.path module which contains these functions. isfile() is a function in os.path library. This function will be return true if the file is regular file and exists. As we can see following example we should provide the path and name of the file. exists is os.path method too and returns true if file exists. We will provide /etc/passwd as parameter to the exists() function like below. LEARN MORE How To Use PHP file() and readfile() Functions To Read PHP File?